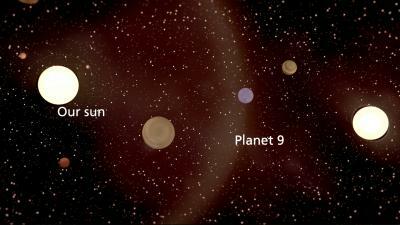 May 31, 2016 – Through a computer-simulated study, astronomers at Lund University in Sweden show that it is highly likely that the so-called Planet 9 is an exoplanet. This would make it the first exoplanet to be discovered inside our own solar system. The theory is that our sun, in its youth some 4.5 billion years ago, stole Planet 9 from its original star. In a computer-simulated model, Mustill together with astronomers in Lund and Bordeaux has shown that Planet 9 was probably captured by the sun when coming in close contact while orbiting another star. It requires a lot more research before it can be ascertained that Planet 9 is the first exoplanet in our solar system. If the theory is correct, Mustill believes that the study of space and the understanding of the sun and the Earth will take a giant leap forward. “This is the only exoplanet that we, realistically, would be able to reach using a space probe,” Mustill says.